Everest Base Camp Helicopter Tour is the elite adventure tour into the Everest region which boasts the 6 out of 14 highest mountain of the world including Mt. Everest (8848m. ), the highest of the world. Everest Base Camp Helicopter tour gives the opportunity to the visitors to enjoy the splendors of nature and mountain views from the comfort of a helicopter. It gives the chance to view Giant Mountain of the world including Mt. 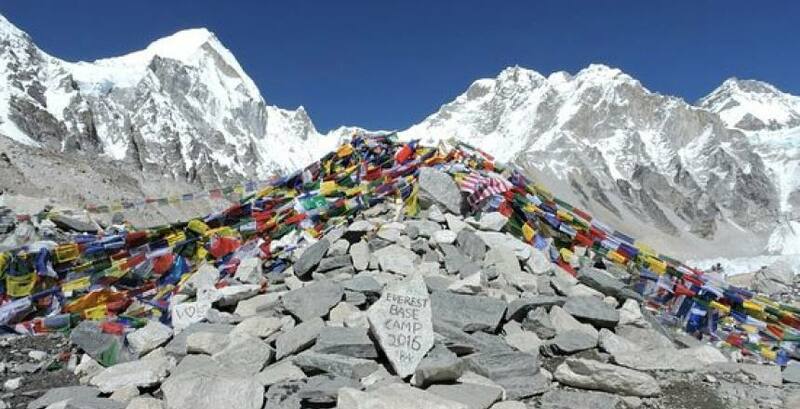 Everest (8,848m. ), Mt. Lhotse (8,501m. ), Mt Cho Oyo (8,153m. ), Mt. Pumori (7,165m.) and Nuptse (7864m.) etc. In this tour you go to the historic site of the World's Highest Cabinet meeting at Kala Patthar which is the unforgettable aerial journey. On 4th December 2009, ministers of government of Nepal held cabinet meeting to raise the concern over the melting of the Himalayan glacier due to global warming. Everest Helicopter tour will get a chance to land in Kala Patthar and you will get a great chance to enjoy the unparalleled view of the Mount Everest (8848m. 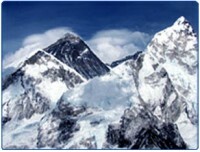 ), the highest mountain of the world. You also catch the panoramic view of the other towering mountains like Mt. Lhotse (8,501m. ), Mt Choyou (8,153m. ), Mt. Pumori (7,165m.) and Nuptse (7864m.) etc. You start your journey from Kathmandu in a chartered helicopter to Lukla. Then we start our helicopter sightseeing around the Everest region. We stop for some time at Kala Patthar, the perfect viewpoint of the Everest region. From the helicopter, you see the excellent view of the mountains, valleys, Everest base camp as well as natural scenery. After enjoying the splendors of nature and experience heady airborne explorations of the Everest from the comfort of a helicopter we return back to Kathmandu. 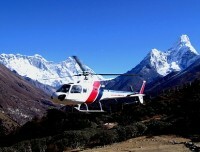 Everest base camp helicopter tour is one of the newly opened tour packages to Everest region. Nowadays, Everest base camp helicopter tour provided in Everest region as sharing base helicopter charter service from capital city Kathmandu. If you will need more details about Everest base camp helicopter tour click here. 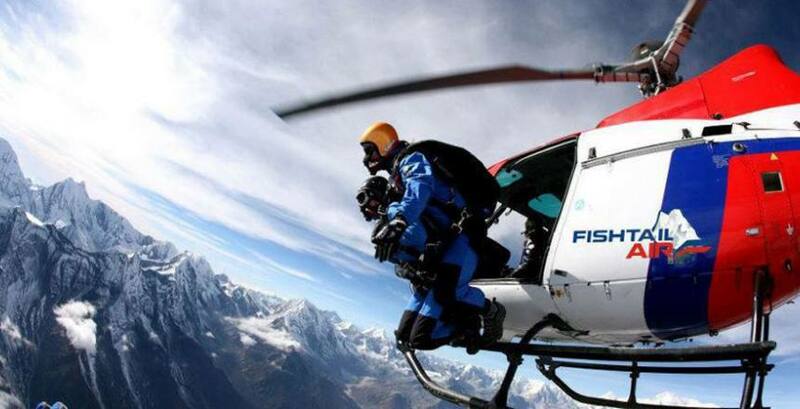 Adventurous one day helicopter to Everest base camp will kick off from Kathmandu airport. From Kathmandu, airport flight takes about 40-45 minutes to Lukla. About 10-15 minutes there will be short break in Lukla. Then after to reach Base camp and Kalapathhar it may take about 40 minutes including landing time. Miraculous views of mountain peaks, vegetation and villages can be experienced from the flight. First you will land at Everest base camp then you will be taken to Kalapathar from where best views of panorama can be witnessed. Then there you will have breakfast in Everest view hotel for 45 minutes and return back to Kathmandu. Day 01: Everest Base Camp Helicopter tour is a day trours in Everest region by helicopter. 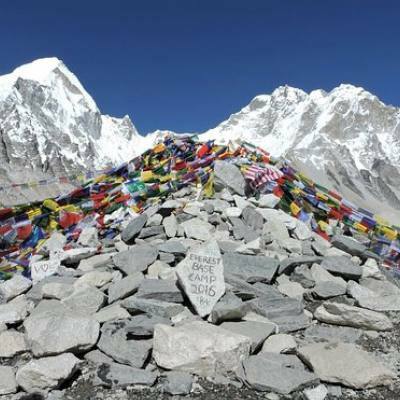 Day 01Everest Base Camp Helicopter tour is a day trours in Everest region by helicopter. Everest Base Camp Helicopter tour Itinerary is a very flexible itinerary because it is a privet helicopter tour to Everest so you can fixed your time to start a touring as your own but we recommended you to start the tour bit earlier as below.